Having a Toastmaster at your formal dinner will serve to enhance the event and bring extra gravitas and decorum to the occasion. For corporate dinners, the Toastmaster will certainly help you to make the right lasting impression with your employees, guests and VIPs. 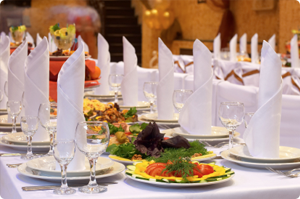 Click here to Contact Philip Gardner today to discuss your requirements for your formal event.